The building, a purpose-built extension of a previous structure, is placed on the way to the summit of the Rocca. Its western facade, a glass wall overlooking the lake and the countryside, gives light to the interior, emphasising the relationship of the museum with the surrounding territory. 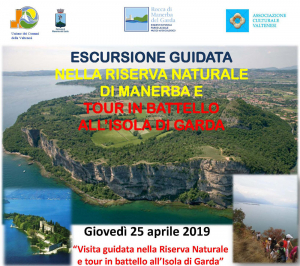 Inside, the exhibition is arranged on two floors, and shows the richness of the archaeological and natural resources of the area around Manerba, underlining the fact that the Rocca itself is a museum. On the ground floor the archaeological section contains information panels in different languages, and a selection of finds from all around Manerba and from the several archaeological and historical stages of the life on the Rocca and the Sasso, from the site of Pieve di Santa Maria, San Sivino (that is part of the heritage of UNESCO), and the lake front. The finds on display were recovered from field-walking surveys and archaeological excavations undertaken in the area around Sasso, Riparo Valtenesi, Rocca, Pieve and Gabbiano. Some of these objects were displayed for the first time in 1972 as part of an exhibition of finds from the surrounding territory. Later, they became part of the permanent collection of the Civic Archaeological Museum of Valtenesi, which was located first near Pieve di Santa Maria, and from 1989, in Piazza Simonati. They show, through the results of excavations of four main sites, the evolving picture of human settlement on the area. A 4000 year old Bronze Age Pile Dwelling on Lake Garda. The transnational serial property of "Prehistoric Pile Dwellings around the Alps" was added to the UNESCO World Heritage List in 2011 and comprises of a collection of 111 archaeological pile-dwelling sites spread over six countries surrounding the Alps (Switzerland, Austria, France, Germany, Italy and Slovenia). The remains of prehistoric pile dwelling settlements dating from 5000 to 500 BC which are pre-served underwater, on lake shores, along rivers or in wetlands. The southern shores of lake Garda and the surrounding moraines, with their scattering of small lakes, is the area with the densest concentration of pile-dwellings that are also the best known in Italy. In 1971 the remains of an extensive pile-dwelling settlement were indentified during diving San Sivino near Manerba del Garda, by the Associazione Tritone Sub of Desenzano, and in the following years drawings of small areas of piles were made (during the winter of 1971-72 and the summer of 1978) as well as an underwater survey (1980), which demonstrated that the site extended along the lake shore for a distance of roughly 150 m.
The prehistoric pile-dwelling settlement of Manerba del Garda, the remains of which lie submerged in lake Garda not far from the present shoreline, has never been the subject of systematic archaeological investigation, although scholars have been aware of its location since the early 1970s. Following the proclamation of the UNESCO Serial Transnational Site Prehistoric pile-dwellings around the Alps, in 2013 a topographic survey positioned the site and in the same year microscopic analyses led to the discovery that there were at least two main settlement phases. The earlier has been radiocarbon dated to the 20th-18th centuries BC and the later to the 17th-16th centuries BC. The resumption of underwater exploration towards the end of 2017 made it possible to identify the full extension of the site, which far exceeded the 2013 hypothesis (more than 10000 m2), as well enabling further sample gathering of the piles and lake bed for scientific analyses, and made it possible to clearly define the area of the UNESCO conservation site at surface level. 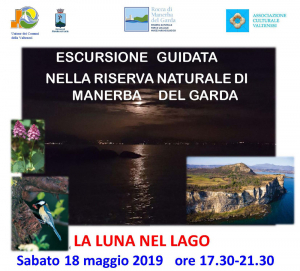 The exhibition section is dedicated to Nature and offers a series of stunning photographs which will give the visitors the sensation of walking along the paths of the Natural Reserve. Each natural environment is “fixed” in its main characteristics in several panels. We can imagine walking through the Reserve on a spring day, smelling the perfume of a thousand budding flowers. 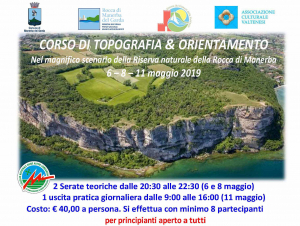 We can see the rocky profile of the Rocca and understand its origins, see the animals living there, the rare orchids and the Mediterranean shrubs and trees, the cultivated farmlands and their stories. The first floor is dedicated to the nature of Rocca with panels and two scale reproductions, one showing the present condition of the natural Reserve, the various footpaths and cycling tracks, the other a reconstruction of the castle in its full medieval structure, which, given the privileged location, dominates the lower end of the lake. Its closeness to the main roads and waterways has been very important since prehistoric times and the reason why people chose this area to settle in such a long time ago. Some of the trees species have been growing here since prehistoric times and are preserved among the charred remains of ritual offerings found on the burial grounds of the Copper Age of Riparo Valtenesi. They are still growing in the park and are very decorative. The museum and the archaeological park values the professional partnership of qualified and licensed archaeological guides. Possible stops at wine and olive oil producers where you can taste their products.